James Dee Harmston, seen here in this 1998 photo, died June 27, 2013, at age 72. 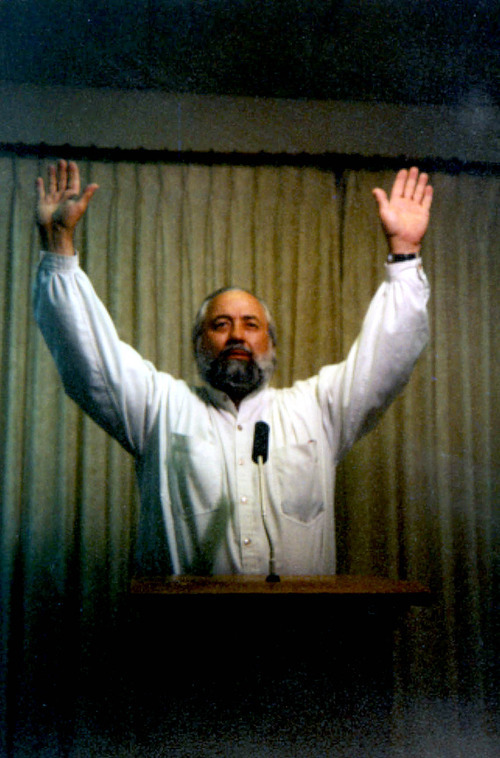 Harmston led the polygamous The True and Living Church of Jesus Christ of Saints of The Last Days in Sanpete County. Salt Lake Tribune photo. James Dee Harmston, seen here in this undated photo, died June 27, 2013, at age 72. Harmston lead the polygamous The True and Living Church of Jesus Christ of Saints of The Last Days in Sanpete County. Salt Lake Tribune photo. James Dee Harmston, leader of The True and Living Church of Jesus Christ of Saints of The Last Days (TLC) in Manti, died of a heart attack Thursday afternoon. 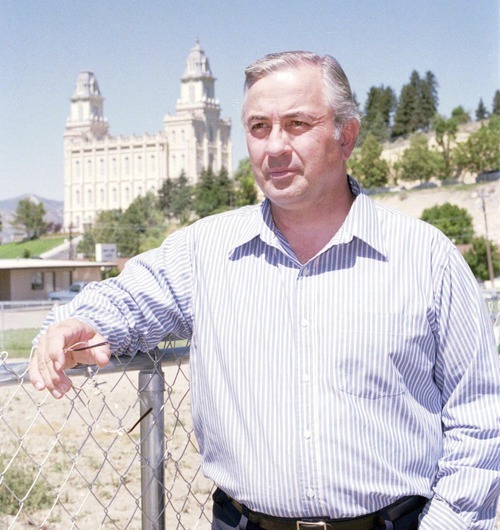 Harmston, 72, founded the polygamous church as a splinter group of The Church of Jesus Christ of Latter-day Saints. TLC followers have criticized the LDS Church  which abandoned polygamy in 1890  for abandoning the teachings of founder Joseph Smith, who was killed June 27, 1844. Jason Burgess, spokesman for Intermountain Healthcare, and Matt Larson, a member of the TLC quorum of 12 apostles, confirmed that Harmston had died at Sanpete Valley Hospital. Though Thursday&apos;s episode came suddenly, Harmston had a history of heart complications, Larson said. "My personal relationship with Jim Harmston spanned 19 years, and I don&apos;t think I&apos;ve ever met a man more compassionate and giving," Larson said. He added that they all considered Harmston a father, and while it&apos;s difficult to go through "something like this, you know that it&apos;s all in the Lord&apos;s hands and he has a plan." TLC followers will submit themselves to God&apos;s will and move forward, he said. He was not aware of any immediate plans to convene and discuss the future of the church&apos;s leadership. The church had its detractors. Two women tried to sue the church, claiming their donations failed to net them a face-to-face meeting with Jesus Christ and other promised benefits. Then there&apos;s Joanne Hanks, who wrote a book about her seven years in the church. She said she left the church in 2000 after Harmston told TLC followers that Christ would return. "And it didn&apos;t happen. We sort of woke up and left," Hanks said. "As the years went by, we looked back and thought, how much harm to our life, how much damage it did to our family." She hopes that his death will break up the group, but she suspects the believers will be even more convinced, "especially with him dying on the same day that Joseph Smith was killed. With their superstitions, they&apos;re really going to believe even more that he was a prophet and the reincarnated Joseph Smith." Still, she expressed sadness for Harmston and his family. They had a lot of love for each other as a group when she was among them, she said.